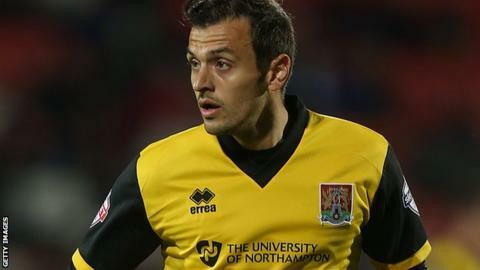 Northampton Town forward Alex Nicholls has rejoined Exeter City on loan until 7 January. The 26-year old had a loan spell with the Grecians earlier this season on his comeback from a badly broken leg. He scored one goal in six appearances for Exeter before being recalled by the Cobblers in October. "He's the type of player that suits our fluid style and hopefully his form of a month or two ago can be repeated," Exeter manager Paul Tisdale said. "He [Nicholls] is here until January and we'll try to make the very best of the situation," Tisdale added to BBC Sport. "He certainly won't need preparing to play in the team as he knows it inside out already which is a big plus for us."